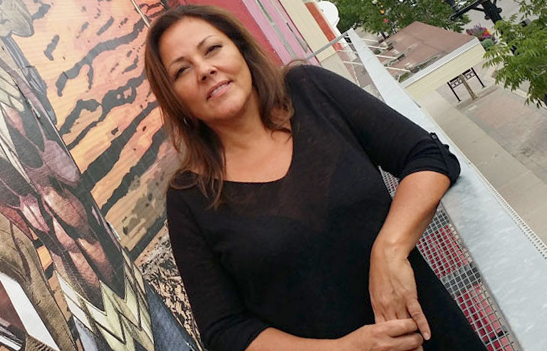 Fire Starter and Time Keeper, is a public sculptural installation designed for the Roadside Attractions exhibition, curated by Dunlop Art Gallery and Sakewewak Artist Collective. 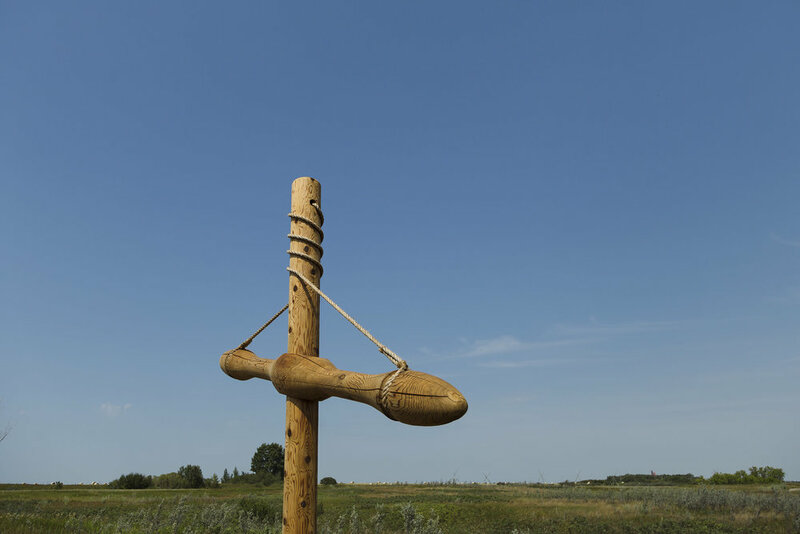 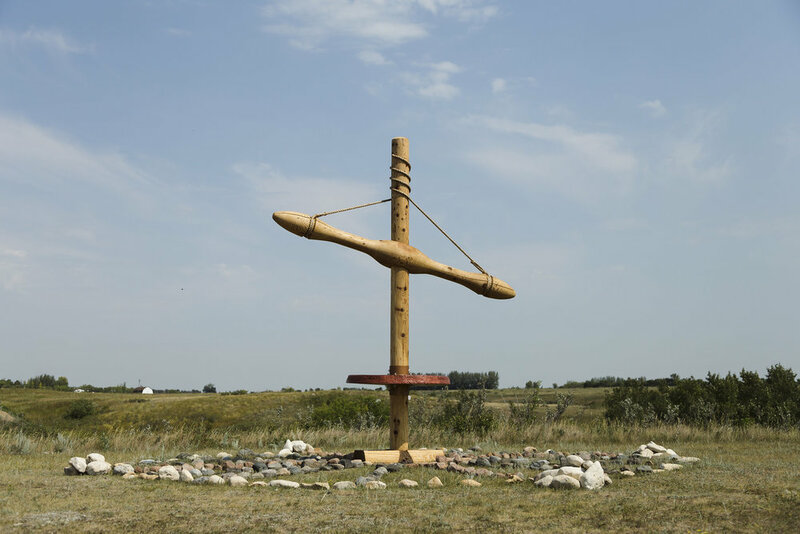 The sculptural installation will be installed in July 2018 at the Wanuskewin Heritage Center in Saskatoon, Saskatchewan. 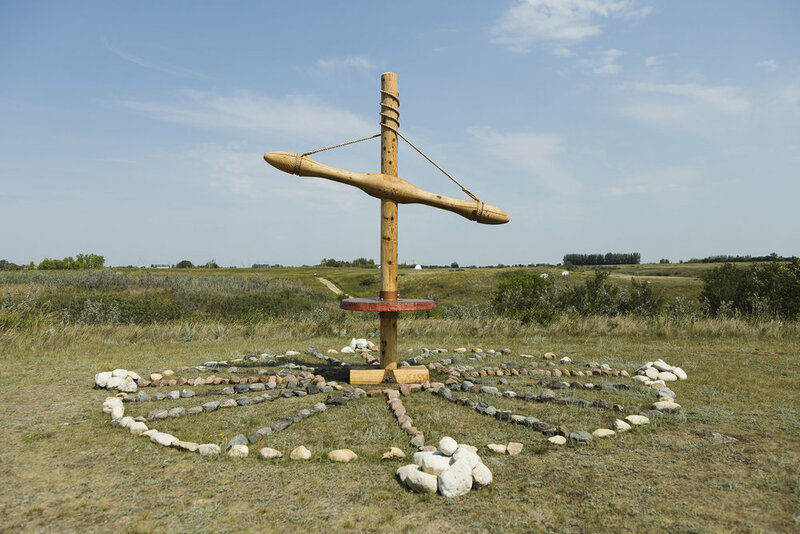 The work celebrates ancient Indigenous technologies, of a fire-starting bow drill and a sun dial wheel. 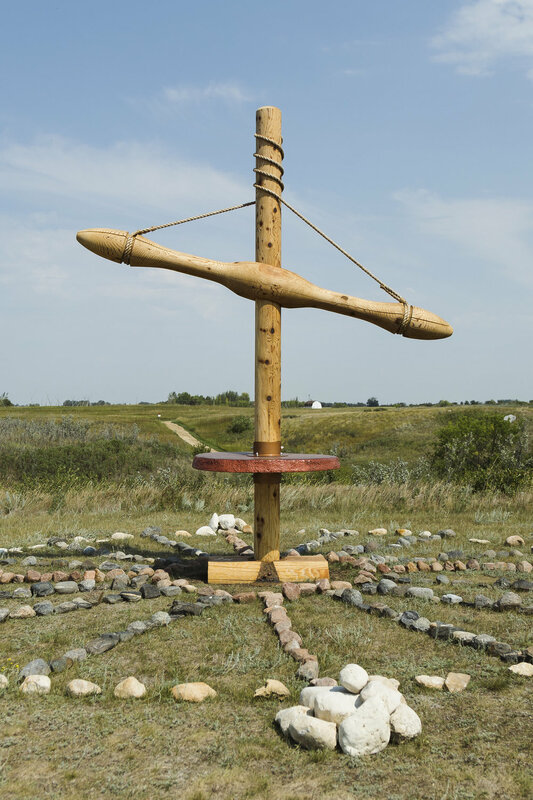 Indigenous teachings of this work combines survival tools with science. 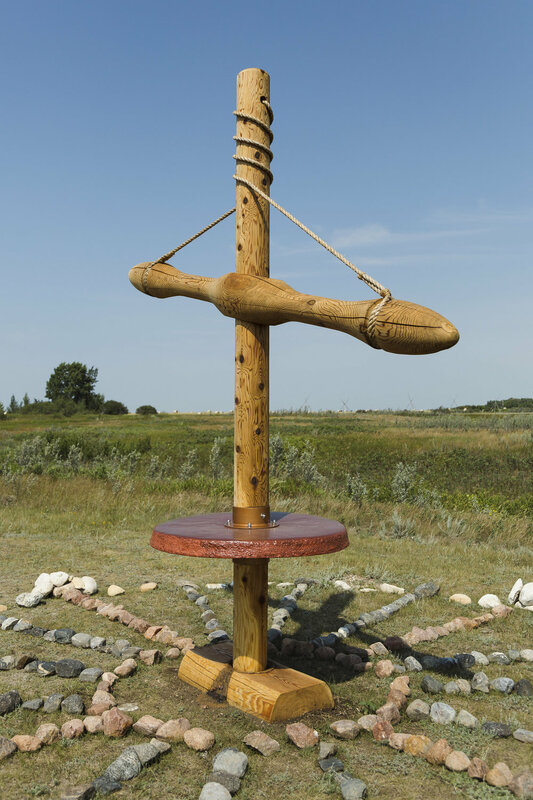 Teachings include true north and the north star of Polaris, Ursa Minor/Minor, summer solstice and ceremonies, various types of fire starters, friction and related artifacts, as overall survival techniques while in the woods.